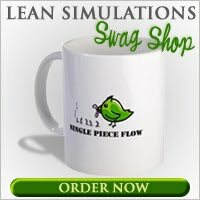 Lean Simulations: Tons of Quality Templates - Six sigma meets Excel and spawns a monster! Tons of Quality Templates - Six sigma meets Excel and spawns a monster! Amazing collection of Six Sigma and quality Excel templates. Someone has put some serious effort into making some full-featured forms. In the side bar list of Excel quality templates, you will find not just one simple T test, but the T test, the F test, Chi squared test and Mann Whitney Rank sum test! Four! hypothesis testing templates for your six sigma projects. As a six sigma blackbelt, I once learned the formulas for calculating these tests. 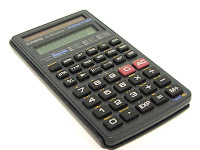 Then I promptly forgot them and depended on Minitab to do all the number crunching for me. I'm more of a results guy, then a theoretical numbers man. But someone put a lot of work into these templates and I commend them for that. And there's more. A lot more. Not only do we have the aforementioned hypothesis tests, there's gauge R & R templates (variable and attribute), a 3 factor DOE form, probability analysis templates (z tables etc), capability studies, regression analysis and much more. Really. This is definitely a one stop shop for your quality forms and calculations. My only disclaimer is that there's so much here that I haven't checked to see if all the calculations are accurate. And as long as I still have a day job and a life in general, I'm not going to be able to spend a few years doing that. So use at your own risk and post here if you have the energy and time to verify the forms for accuracy.